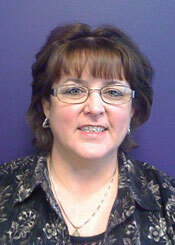 Becky has over 20 years in Human Resource and Office Management experience. Her primary concern is to ensure Suite Solutions hires and retains employees that exceed customer expectations. Becky worked for a Technology company for over 14 years as the Director of HR where she developed benefits plans, policies and procedures, and recruited numerous employees. She also was a corporate management trainer. In addition to working with management and employees, Becky is available to help any guest with any issue that may arise. Her caring demeanor will put the guest at ease and allow them to focus on the task at hand.